L-R: Paul O'Brien and Ciaran O'Reilly in DA. Photo by Carol Rosegg. The Irish Repertory Theatre, founded in 1988, is the only year-round theatre company in North America dedicated to the staging of Irish and Irish-American works. 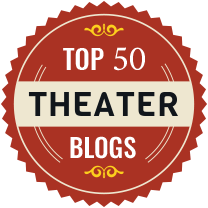 Over the past quarter-century, it has achieved a well-deserved reputation (and earned a plethora of awards) for its staging of works by playwrights as diverse as Sean O’Casey, Brian Friel, Eugene O’Neill, George Bernard Shaw, Oscar Wilde, Frank McCourt, W.B. Yeats, Oliver Goldsmith, Samuel Beckett, Noel Coward, Edna O’Brien, Dylan Thomas, J. M. Synge, Brendan Behan, and many, many more. Now in its 26th season, the Irish Rep is staging a terrific revival of Da, Hugh Leonard’s largely autobiographical memory play at the DR2 Theatre on East 15th Street in lower Manhattan. (The play originally opened at the Hudson Guild in 1978 before moving on to Broadway, garnering not only that year’s Tony Award for Best Play but also the Drama Desk Award for Outstanding New Play and the New York Drama Critics’ Circle Award for Best Play.) The current revival is directed by Charlotte Moore (one of the Irish Rep’s original co-founders) and features Ciaran O’Reilly (its other co-founder) as Charlie, a middle-aged writer who returns from London to his childhood home to Dublin in 1968 to attend his adoptive father’s funeral. O’Reilly plays the role of Charlie (who represents Leonard himself) with considerable insight and sensitivity, portraying his character’s insecurity as an adopted child and reluctance in accepting the parental love he is offered by his adoptive parents with consummate skill. Paul O’Brien is equally expressive in the role of Da, Charlie’s loving adoptive father but an ignorant, foolish and un-ambitious man as well, who fails to communicate his true feelings to his son. And that is the theme of the play – the tragedies resulting from failed communications between those with the best of intentions – and, to a greater or lesser degree, it pervades all of the relationships to which we are made privy: between Charlie and his deceased adoptive mother (Fiana Toibin); between his two adoptive parents themselves; between Charlie and Drumm (Sean Gormley) who was Charlie’s first employer and long time mentor; and between Da and Mrs. Prynne (Kristin Griffith), Da’s own long term employer. To a lesser degree, the characters’ inability to fully share their thoughts and communicate their feelings is even evidenced in the relationships between young Charlie (played as a youth by Adam Petherbridge) and Oliver (John Keating), his boyhood friend, and that between young Charlie and Mary Tate (Nicola Murphy), a neighborhood girl known as “The Yellow Peril” for her ready sexual availability. It well may be the case that “’Tis better to give than to receive.” but one of the play’s most important messages is that that doesn’t necessarily mean that one shouldn’t learn to accept gifts graciously. Indeed, sometimes the greater good is achieved through the gracious acceptance of gifts than in their provision as it enables the giver to feel appreciated. Surely, the relationships between Charlie and Da, between Charlie and his mother, and between Charlie and Drumm would have been vastly improved had all of them only learned that lesson early on. O’Reilly and O’Brien are the true stars of this production and both of their performances are absolutely superb. But the rest of the cast deserves considerable praise as well for their supporting performances, especially Sean Gormley who plays the role of the cynical, tightly controlled, and highly principled Drumm to absolute perfection. In sum, this is one revival well worth seeing.